(JTA) – A federal appeals court ruled that an art museum in Pasadena, California, can keep two Nazi-looted Renaissance paintings. The 9th Circuit Court of Appeals ruled Monday, July 30, that the Norton Simon Museum can keep “Adam” and “Eve,” which were painted around 1530 by Lucas Cranach the Elder and in 2006 were appraised at $24 million. The heir to Dutch Jewish gallery owner Jacques Goudstikker left the paintings in the Netherlands when he and his family fled from the Nazis to South America in 1940. Goudstikker left his gallery containing more than 1,200 artworks behind. His wife, Desi, kept a black book listing all the paintings in the gallery. 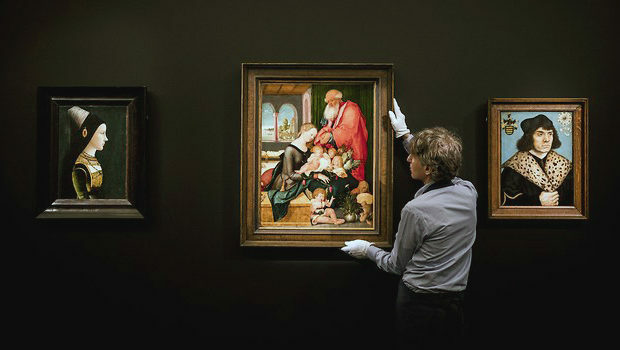 The two Cranach masterpieces were listed there. After World War II, Goudstikker’s paintings were returned to the Dutch government, which worked to repatriate property stolen by the Nazis. But the gallery owner’s family decided not to reclaim the two masterpieces, despite settling claims with the Dutch government for other artworks and real estate. The paintings were sold to a Russian prince in 1966 before being acquired five years later by the Norton Simon Museum for $800,000 – the equivalent of about $4.8 million today. They have been on display there for nearly 50 years. Desi Goudstikker’s only heir, Marei von Saher, recovered 200 paintings still in the possession of the Dutch government since the 1990s, but the government would not turn over the Cranachs. “The Dutch government acted with authority to convey the paintings after von Saher’s predecessors failed to file a claim,” Judge M. Margaret McKeown wrote in the decision of the three-judge panel in favor of the museum. Von Saher can appeal the case to a larger appeals panel or to the U.S. Supreme Court.